Hey everyone, hope you are all doing well! 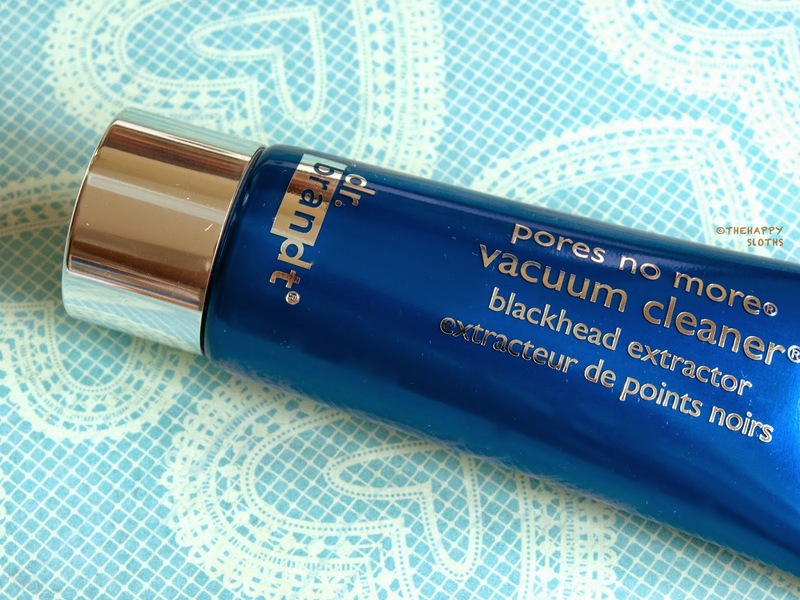 Today I have a very interesting product from Dr. Brandt called the Pores No More Vacuum Cleaner Blackhead Extractor ($45 USD or $55 CAD for 30g) to share with you; this is a gentle exfoliating face mask that promises to remove dirt, oil, and blackheads from the skin. Apply a thin layer of the mask on the face, avoiding the eye and lip area. Keep it on for five to ten minutes or until the mask turns a light shade of blue. This mask is quite thin. Unlike traditional kaolin based "pore unclogging" clay masks, the Pores No More Blackhead Extractor has a more gel-like consistency. The mask had a mild acidic scent, it's not too unpleasant but it's worth mentioning. The mask has a thin, gel-like consistency. The mask gives a very nice tingly and cooling sensation. The mask actually sets very quickly, in less than ten minutes. As it dries, it will turn white and harden slightly. It washes off very easily, without making a big mess in the sink. 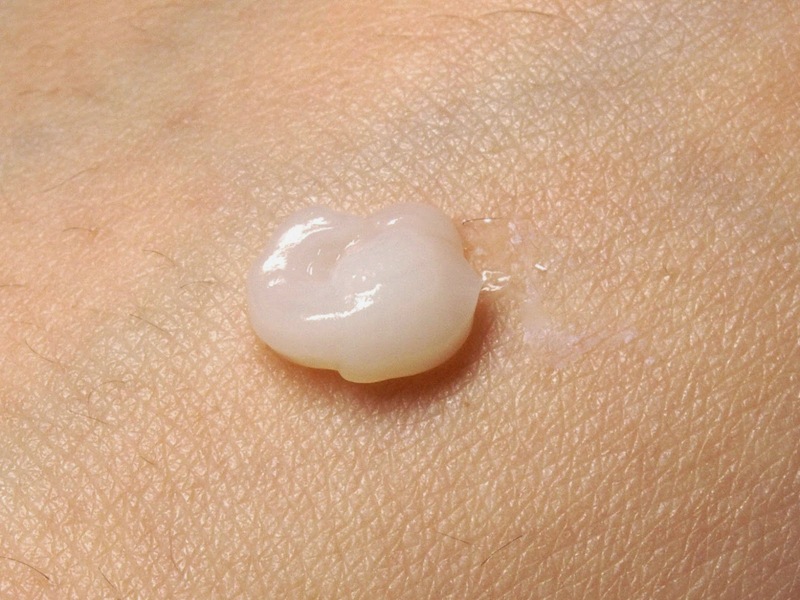 Immediately after washing off the product, I notice that my pores look noticeably tightened. My skin feels very refreshed and cleaned. I have used this mask a total of three times over two weeks and I think it has made an improvement for my overall complexion. Although I wouldn't call this product a blackhead "extractor", I think it is a great chemical exfoliant that provides a really deep pore-cleansing. The mask turns white as it dries! -The name of the product is a bit of an exaggeration; the product doesn't really extract blackheads but it does unclog the pores and absorbs excess oil. So in the long run, it will reduce the number of blackheads. I think this is a great mask for those suffering from oily skin and blackheads. The product will not magically extract blackheads in a flash but it does a great job drawing out excess oil and unclogging pores so in the long run, it will reduce the appearance of blackheads! 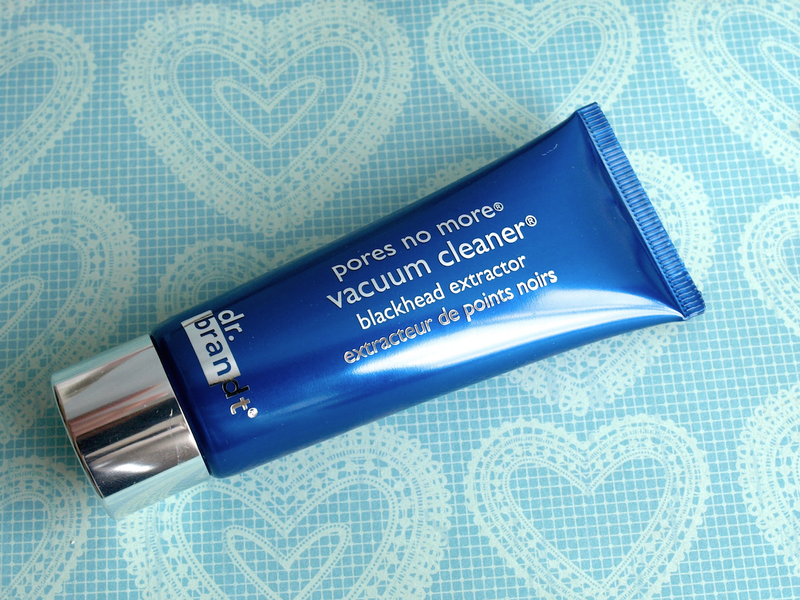 The Dr. Brandt Pores No More Vacuum Cleaner Blackhead Extractor is available online and in stores at London Drugs in Canada.